If you’re tired of the “This will be permanently deleted. 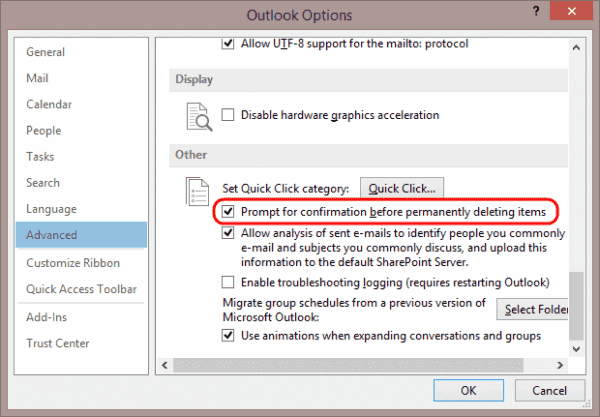 Continue?” message from popping up while deleting items from Microsoft Outlook 2019, 2016 or 365 for Windows, you can disable this prompt and prevent it from ever appearing again with these steps. From Outlook, select “File” > “Options“. Select “Advanced” in the left pane. Scroll down to the “Other” section, then uncheck the “Prompt for confirmation before permanently deleting items“. Now Outlook will no longer bothering you with the prompt. 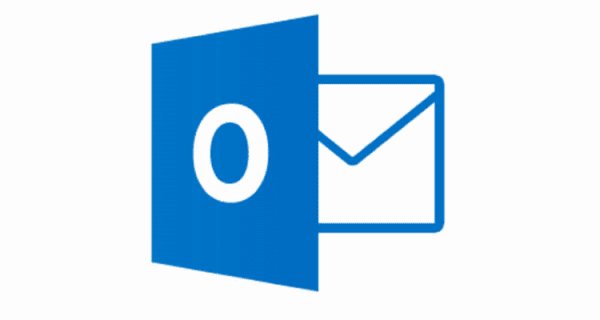 Is there a way to do this in Outlook for macOS? There does not appear to be a way to turn off this message in the macOS version of Outlook.